One of the early ATI video cards. Apple 820-0729-B. 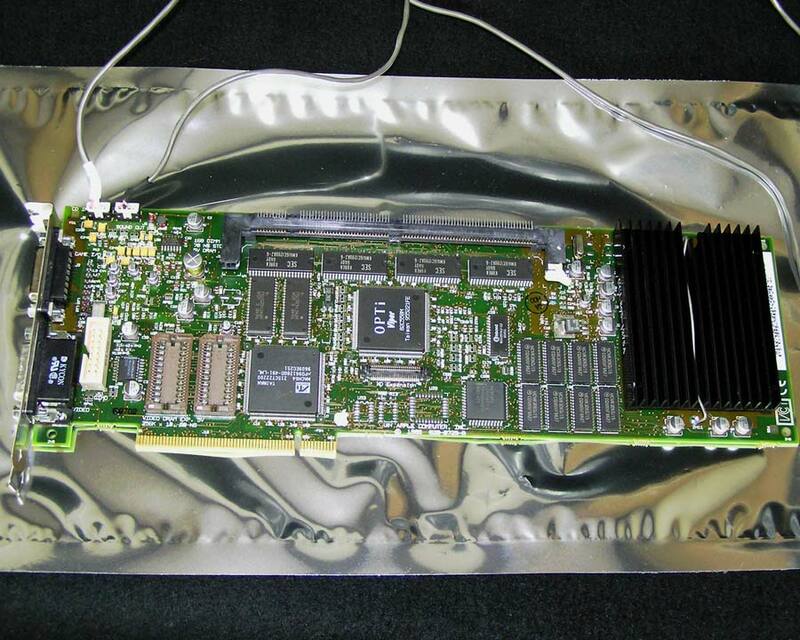 1996 ATI Mach64 Video Card for PCI Power Macs. This card is 12" long. Pulled from a working Power Mac 7600. 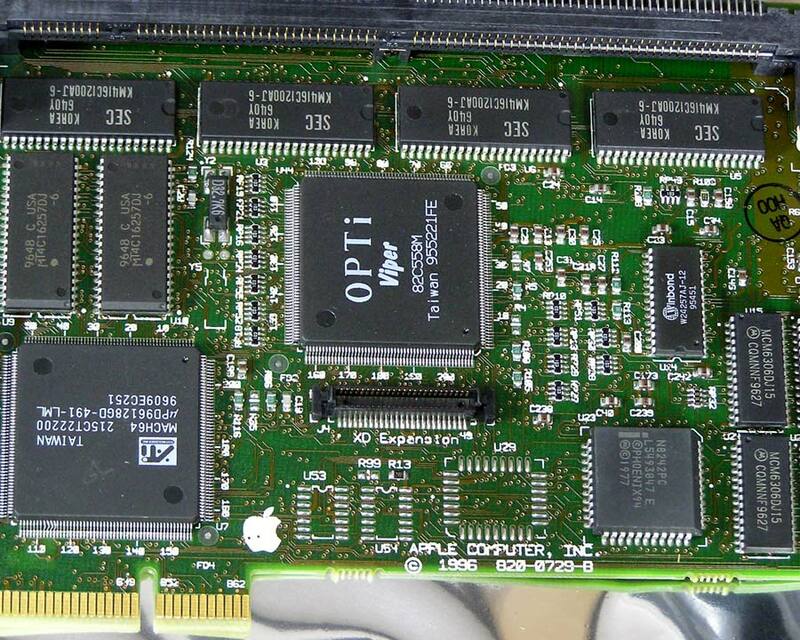 This card has both a standard Macintosh DB15 - 15 pin monitor port and a DB26 or HD26 pin port. Comes complete with one little black cover that will fit on either port. This was hooked up to the CD-ROM sound system (cables are included), however the CD-ROM did not work with it in the loop. 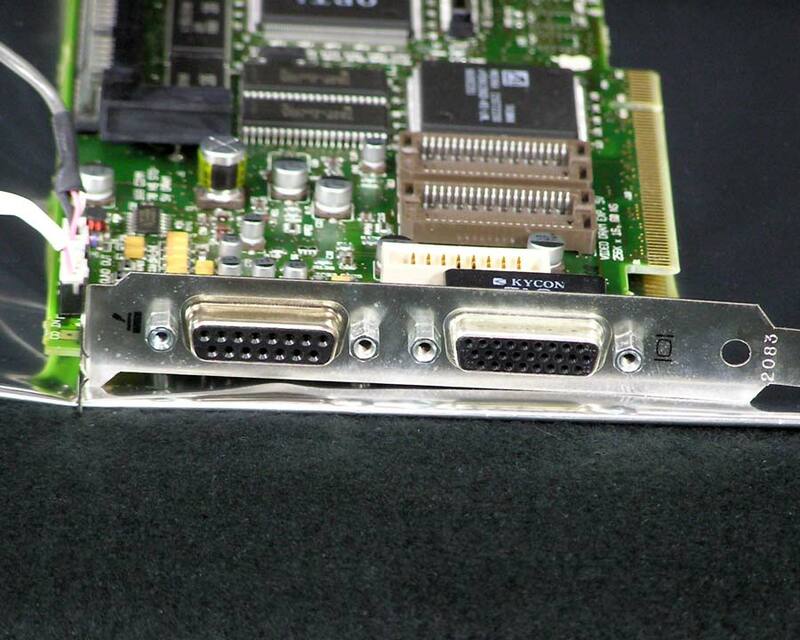 When I hooked up a monitor to the DB15 port, the chip at L4 on the card went up in smoke and there was no video. Sold as is, not working.